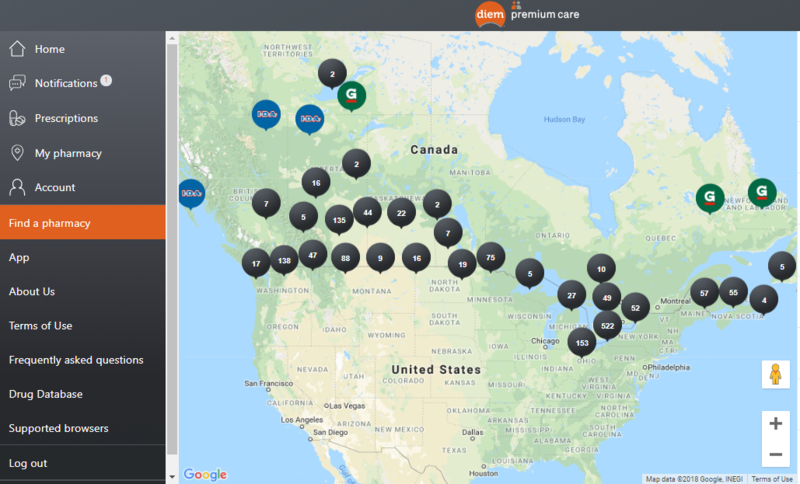 Already have a diem® premium care account? 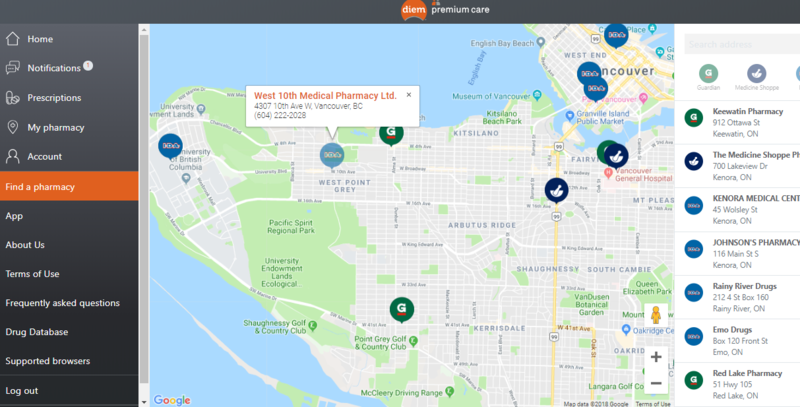 Click here to open the diem® website in a secure window and log into your account. Click here or on diem® logo above to open the diem® website in a secure window. Enter your name, email address and password. Your diem® password must contain a minimum of 8 characters, including 1 capital letter and 1 number. Click “Continue”. Select a security question and provide an answer, read the Terms & Conditions and check circle to indicate agreement, check “I’m not a robot” box, and then click “Submit”. 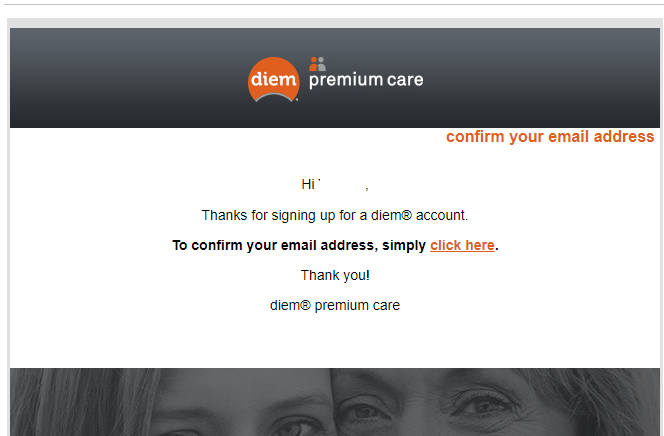 Check your email and view the email just sent to you by diem premium care. The email will appear as shown below. Click on “click here” to confirm your email address. 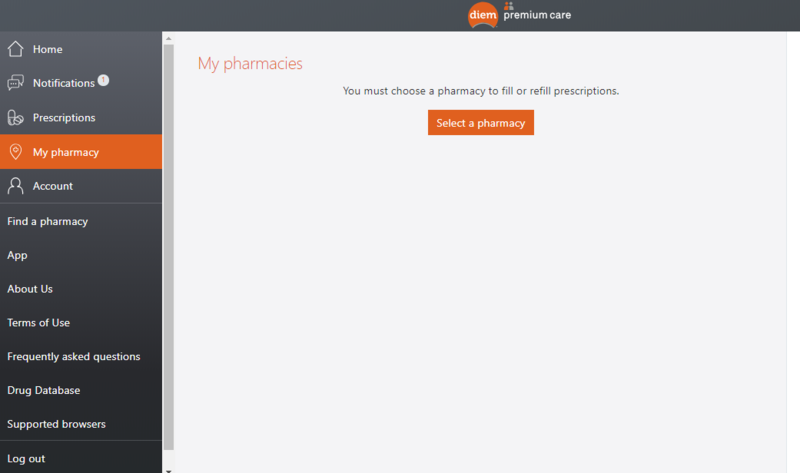 Click here to log into your diem® premium care account in a new tab or window. 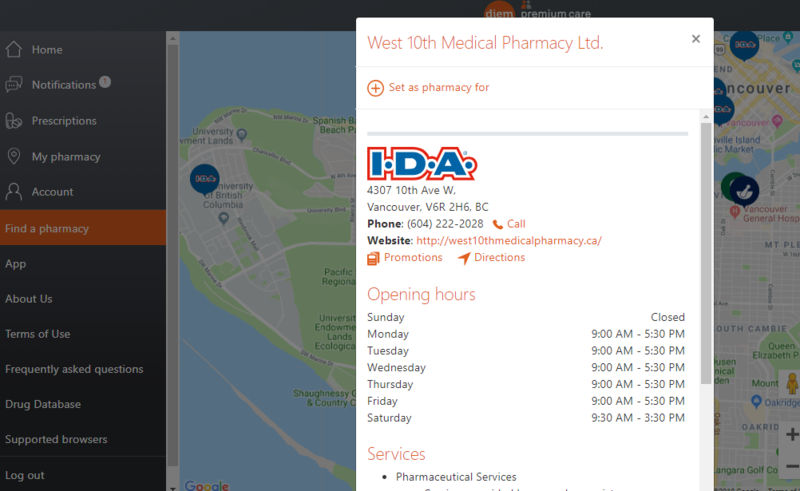 Click on “Set as pharmacy for Your Name” and you are now ready to refill presciptions!